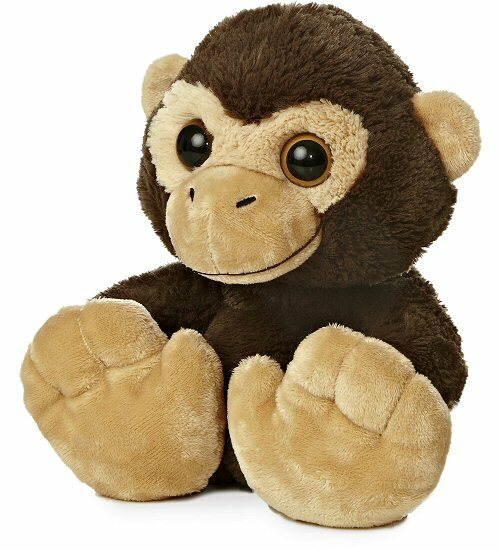 Chuchee Chimp, this adorable stuffed monkey from the cute and cuddly Taddle Toes collection, has awesome oversized feet, a wonderfully huggable body, and warm golden-brown eyes in a sweet, smiling face. 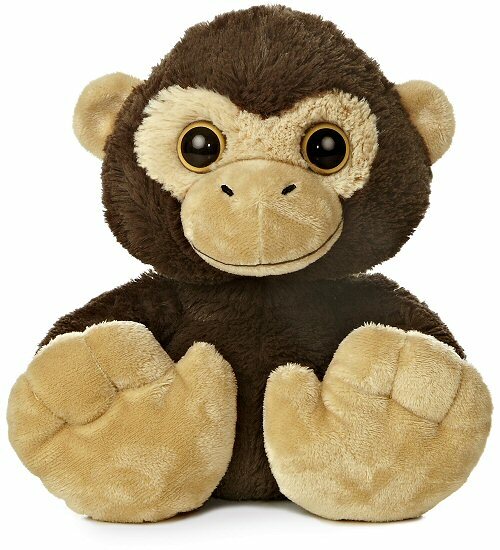 With soft brown fur and tan accents, this delightful monkey stuffed animal will be a fun friend to take on all your imaginative adventures. Fun Facts about Chimps: Did you know that chimpanzees live in groups called communities and that they can weigh up to 130 pounds? That's a big chimp!